AMD CEO Lisa Su confirmed this past Thursday that supply constraints of Radeon R9 Fury series graphics cards are “largely solved” for Q4. A welcomed change following the supply issues that we’ve witnessed in the past few months following AMD’s introduction of the industry’s first GPU featuring stacked High Bandwidth Memory, code named Fiji. We reported last month that due to the limited supply, many e-tailers had begun selling AMD Radeon R9 Fury X cards at prices 200 to 250 dollars above MSRP. Essentially adding a 31-38% premium over the official $650 asking price of the R9 Fury X. This highlighted the steep imbalance of demand over supply of AMD’s Fiji based HBM graphics card at the time. We had also reported previously that a tie-up in the supply chain of components necessary to manufacture the HBM powered Fiji GPUs, which had contributed to the shortage, had been alleviated. We had also stated that just like any new cutting edge technology, supply will continually improve with time. And as the whole ecosystem around High Bandwidth Memory matures, we are less likely to see any serious supply constraints become apparent the further along we are in the lifecycle of the technology. It has now become evidently clear that this was exactly the case after AMD’s President and CEO Lisa Su shed light on the matter this past Thursday at the company’s Q3 teleconference. …relative to the Fury launch we did have some supply constraints in the third quarter. They were — they are largely solved in the fourth quarter, so I don’t think there will be any supply constraints. Let’s take a step back to better understand what had happened in the past couple of quarters at AMD’s GPU business. In late Q2 early Q3 AMD introduced a new set of products which included the Radeon 300 series and the Fiji powered Radeon R9 Fury X, R9 Fury and R9 Nano discrete graphic cards. The new products were brought to the market at the end of the second quarter which meant that they did not contribute to the company’s graphics shipments in Q2 2015 in any tangible way. AMD also took actions – which began in Q4 2014 – to reduce inventory of out-going last generation GPUs in the channel and make way for the Radeon Fury series and 300 series graphics refresh. These actions were described by AMD’s CEO Lisa Su as being “largely completed” at the end of the second quarter. This in turn translated to a fewer number of GPUs being shipped by AMD and sold into the channel in Q2 in an effort to exhaust the remaining inventory of retired graphics chips. These events contributed to a 4.5 point loss of market share for AMD in Q2 2015, from 22.5% in Q1 2015 down to 18%. However, in mid September we found out that the company did manage to regain market share in Q3 2015 thanks to a report by Barron’s. The extent of this share gain will be revealed later this month as various industry sources begin to disclose the exact discrete GPU share numbers. In addition to the report by Barron’s AMD’s Q3 financial report did confirm that the company grew its GPU shipments significantly in Q3 2015. All of this was the result of AMD’s R9 Fury and R9 Nano product launches in the quarter as well as improved uptick of Radeon 300 series desktop and mobile products. GPU revenue increased sequentially as we grew both OEM and channel sales based on the strength of our latest desktop and notebook offerings. Our strategy to regain profitable share by capturing key hardware and software technology transitions, like HBM and DirectX 12, is gaining traction. 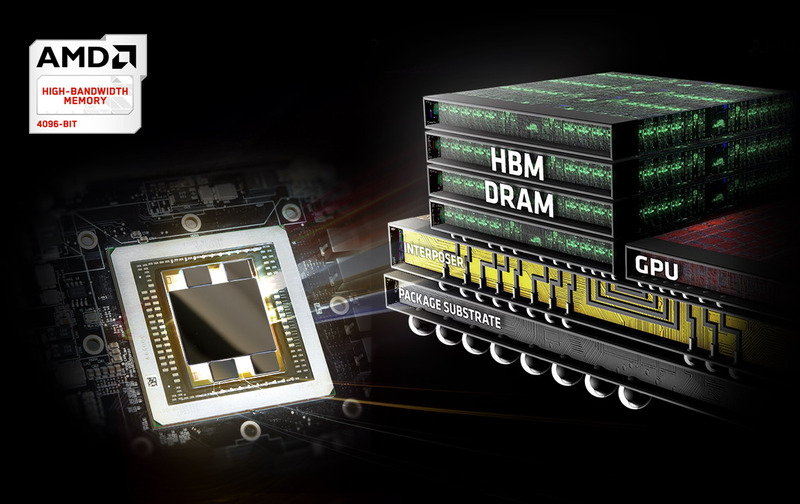 We expanded our Fury family of HBM-enabled GPUs in the quarter to include the Fury Nano, the world’s smallest and most power efficient enthusiast desktop graphics card. We delivered strong double-digit percentage sequential revenue growth in the high-end enthusiast and performance portions of the GPU market, based on the success of our flagship Fury line of energy-efficient products. On the software side, our GCN GPU architecture is delivering up to a 30% performance increase on applications written for the next generation of low-level programming APIs, like Microsoft’s DirectX 12, that are being quickly adopted by developers. For Q4 2015, AMD forecasts that it will continue to grow GPU sales, an improvement that’s likely going to be aided by the improved supply of R9 Fury X, R9 Fury and R9 Nano graphics cards. As well as the introduction of more Radeon 300 series graphics cards and the company’s flagship “Gemini” graphics board, the dual Fiji XT GPU otherwise known as the Fury X2. As the supply of AMD’s HBM based products improves, we’ll see more AIBs introduce Fiji based graphics cards into the channel. Gigabyte for example announced yesterday its first R9 Fury graphics card, featuring the company’s highly popular Windforce 3X cooler. We also saw XFX introduce a couple of R9 Fury graphics card SKUs last quarter. 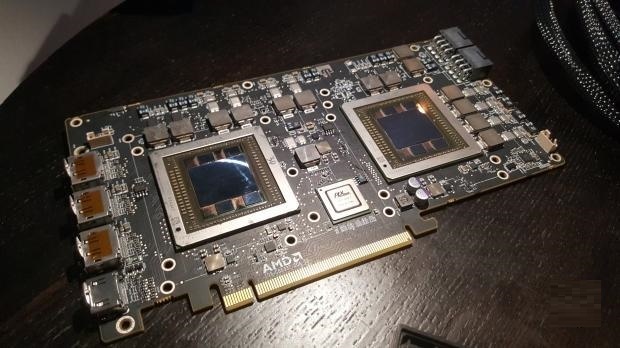 We will also definitely see more AIBs such as MSI, HIS and others bring their own R9 Fury designs to the market in Q4 who have yet to launch any R9 Fury SKUs. Which should give enthusiasts a more varied collection of cards to choose from.